Ontario Science Centre For Immersed 2018! Where the Leaders of Future Computing Meet and Build! 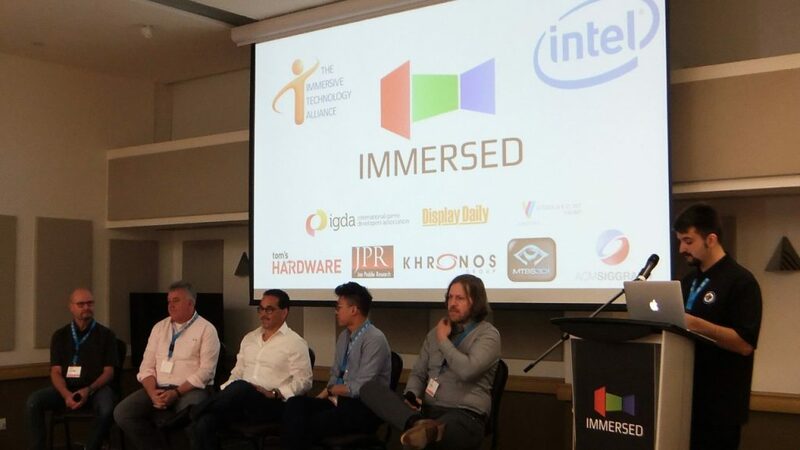 Run by TIFCA and held annually since 2014, the mission of the Immersed conference is to lay down the groundwork and enhance the viability of building what’s next through industry education, B2B networking, and influential media exposure in the future computing world. Businesses, service providers, and educators learn how future computing can further their goals and enhance their offering – TODAY. Content developers, technology innovators, and professionals get the tools and resources they need to build their businesses and careers in a future computing world. This includes development expertise, media exposure, and investment community access. 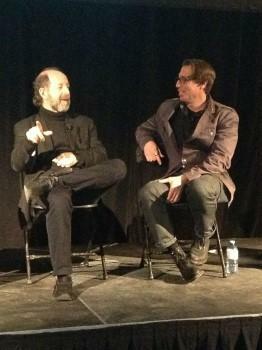 Analysts and media get rare access to market leaders and influencers. 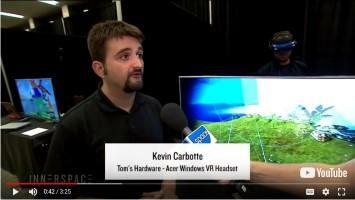 Topics in this must attend event include AR, VR, MR, 3D, AI, ML, cloud, PC, mobile, console, and more. Immersed 2018 is made possible by The International Future Computing Association (TIFCA). TIFCA will be holding a private voters-class meeting as a precursor to Immersed on November 7, 2018 at 4:00PM EST. “Voters Class” refers to a level of membership in TIFCA that gives participants a direct influence on the priorities of the organization. Immersed delegates that wish to participate with this industry-shaping meeting are encouraged to review the TIFCA membership benefits and join the organization. 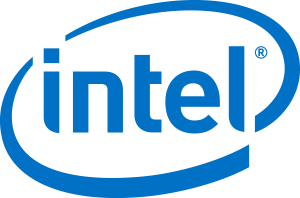 TIFCA has also introduced a new introductory benefits program for first-time voting class members called TIFCA PATH (Package of Advanced Tools & Hardware) which is based on valuable contributions by Intel, Advanced Micro Devices, M2 Insights, and other partners. Held annually since 2014, there is only ONE Immersed! Meet the leading innovators in future computing. Immersed delegates are market leaders. Meet the right people for your business. 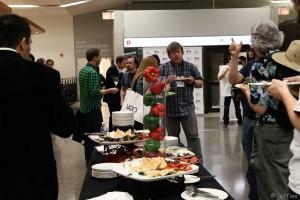 Most meals included; regular networking opportunities. 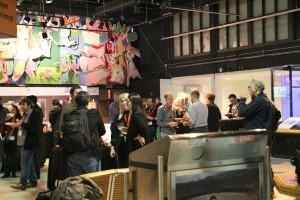 Private open bar networking reception! 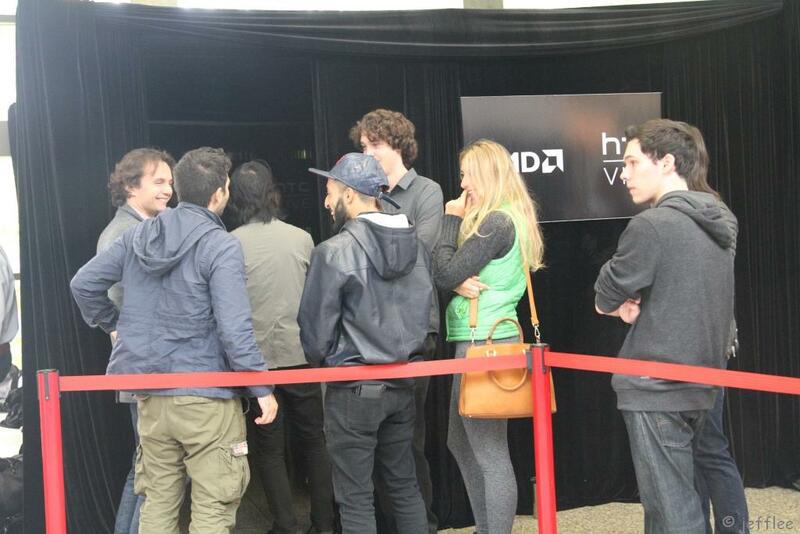 The media goes to Immersed. Be part of their story! Get hands-on experience with the latest innovations and meet the people behind them. 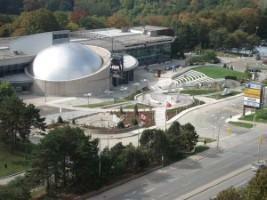 Held in Toronto’s Ontario Science Centre, one of Canada’s largest public education venues. Listening is only the first step. Speakers are available to delegates. 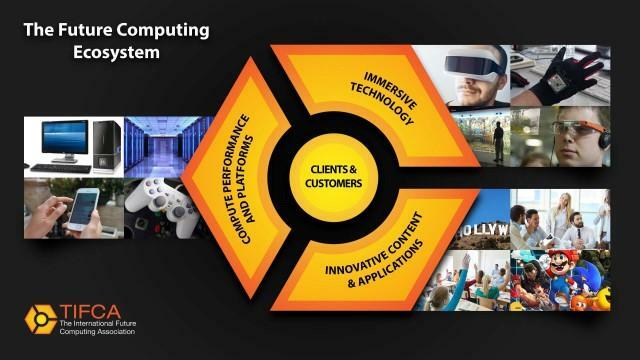 Future computing is the practice of turning dreams into reality with computers and computer media. 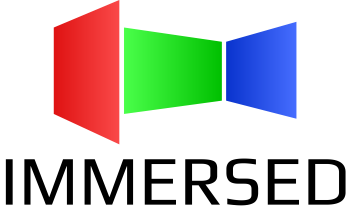 The three pillars of future computing include compute processing and platforms, immersive technology, and innovative content and applications. Welcoming future computing thought leaders from around the world! Schedule is 20%-30% technology or content-creation focused, 60%-70% actual use cases or technology in action. Ideal speakers will address the capabilities of future computing and show how these big ideas can positively influence our delegates today. While our tentative schedule has some flexibility, we want certain future computing areas well covered. Please use the schedule as a guide for where your expertise and presentation can fit. After the schedule has been reviewed, please complete the application form ASAP so we can get you added to the review process. Who should go to Immersed? Professionals, entrepreneurs, investors, and members of the media. 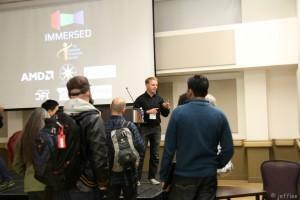 Immersed is for people who are dependent on knowing what’s coming next in modern computing and computing media and why. Addressed markets include entertainment, education, business, manufacturing / consumer experience design, and healthcare. What’s New For Immersed 2018? Since 2014, Immersed has delivered leading speakers and exhibitors from all over the world that are otherwise difficult to access. Attendees told us they want more networking opportunities to help with their business development efforts. 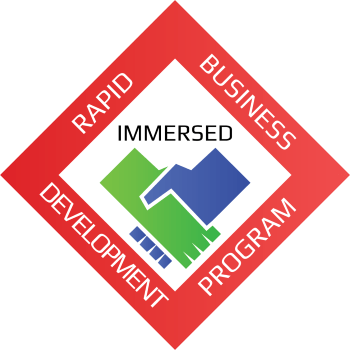 The Immersed Rapid Business Development Program is a new service we are adding to this year’s summit. In addition to expanding each networking period to at least an hour or more, we are going to be offering a scheduling program so our delegates can have effective one on one time with each of our speakers. Each period will be limited to five to seven minutes for effectiveness, and we will have general networking functions as well. Slots will be available on a first come first serve basis and are dependent on speaker availability. This year’s thought-leading presentations are purposely broken out into themes and are followed by these unique networking opportunities. Sign-ups happen during the show and are limited to full Immersed delegates. Our whole mantra at Immersed is every handshake matters, and we want Immersed attendees meeting the right people to get to the next level. Students and academia are very important in the future computing world. The market values their ideas, their innovation, and their well-rounded abilities that will help shape the immediate and distant future. 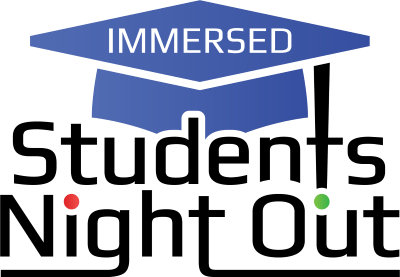 Students Night Out is a separate evening program taking place November 9 from 7PM to 10PM at the Ontario Science Centre. We will have a mentor speaker series that discusses technology, what it means for future innovators, and a strong business angle that gives students the understanding needed to get their ideas to the next level. This will also be a strong recruitment opportunity for sponsors and students alike. This program is limited to active students and faculty. Student ID or proof of Academic faculty status will be required at the door. Student Night Out tickets are $19.95 CAD plus applicable Eventbrite fees and taxes. Refreshments will be served while supplies last. 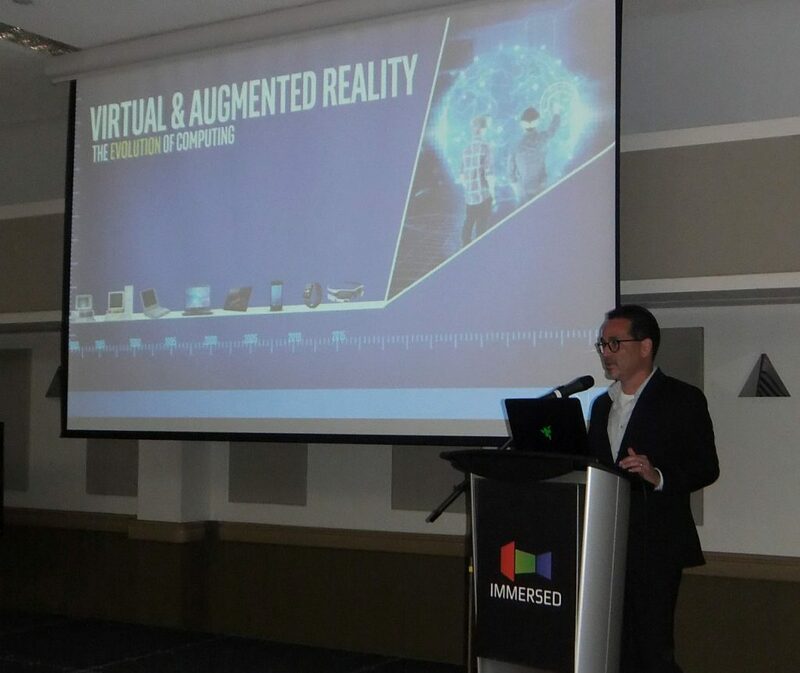 The International Future Computing Association (TIFCA) and Interactive Ontario (IO) are pleased to announce the availability of a special combined conference ticket offer for both iVentures running November 6-7, 2018 and Immersed 2018 running November 8-9, 2018 in Toronto, Canada. 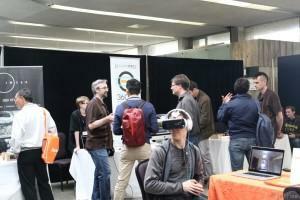 For 11 years, iVentures 2018 is Interactive Ontario’s annual fall conference and is the province’s marketplace for ideas across all forms of interactive digital media (IDM). iVentures exists to connect business leaders in the interactive digital media (IDM) industries with each other and with business leaders in overlapping sectors. The goal of the iVentures marketplace is to offer a forum for inspiration, collaboration and partnerships that will create the next great IDM project. Both iVentures and Immersed events include meals, receptions, rare access to market-leading speakers, and valuable networking opportunities. The combined Immersed / iVentures ticket is $695 plus applicable fees and taxes or a special $595 rate plus fees and taxes for qualified IO and TIFCA members. The member rate is only accessible through special discount codes provided by TIFCA / IO organizers. This program cannot be combined with other discounts / offers. The ticket can be purchased from both the iVentures and Immersed websites.